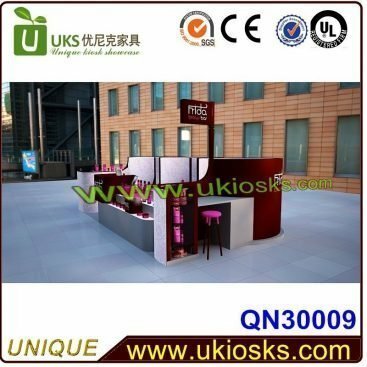 Weekend is coming!Wish you enjoy a nice weekend. 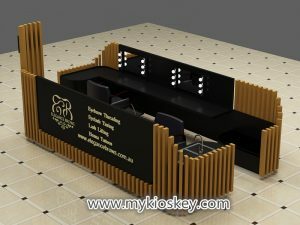 This week,a Australia client we cooperated many times found me said he wanna do a new brand,want us help design a new eyebrow kiosk.This client own two big eyebrow brands in Australia,one is Exquisite brows,another is Elegance brows.he already opened more than 50 kiiosks in Australia,now wanna do his third brand,That’s so cool!From 2015-2018 we already did 6 brow kiosks for him,4 elegance brows and 2 exquisite brows.He was very satisfied with our works and quality,so wanna keep cooperate with us,this really our honor. 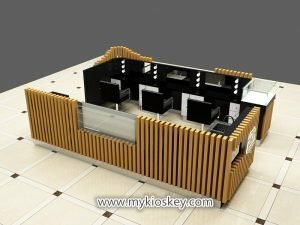 these are two styles we designed for him,all 5m by 3m,inside with 3 eyebrow stations,2 sinks and sitting sofa.Outside used high-quality durable solid wood stripes,inside use black 2-Pac finsih.Soild wood stripes are very popular in Australia. 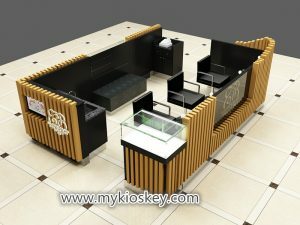 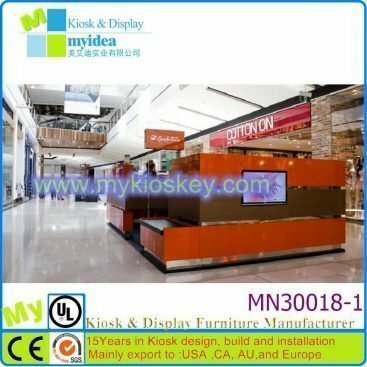 Unique already did mall kiosks for 10 years,cooperated with many famous brand and big companies.We have our own design team can help you do design,can help you create any styles you want;our worksers all did kiosks many years,have rich experience. 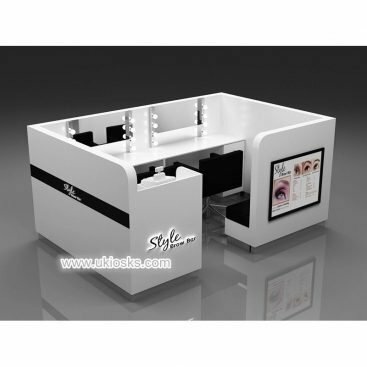 for eyerbow threading kiosk,we cooperated Kurves brow bar,Wink brow bar,Exquisite brows,Elegance brows etc.We have many creative brow kiosks designs. 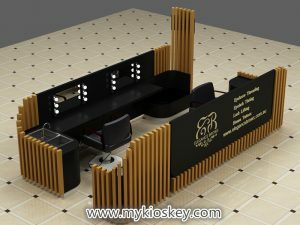 so if you also wanna do brow business just contact us,myidea will supply your most favorable with high-end quality! 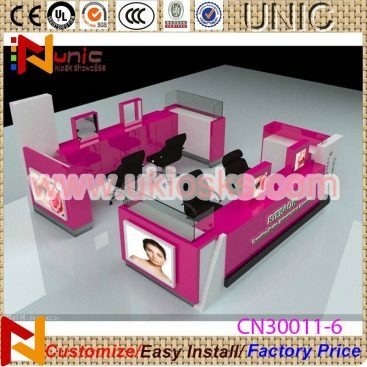 How to customize a eyebrow threading kiosk?